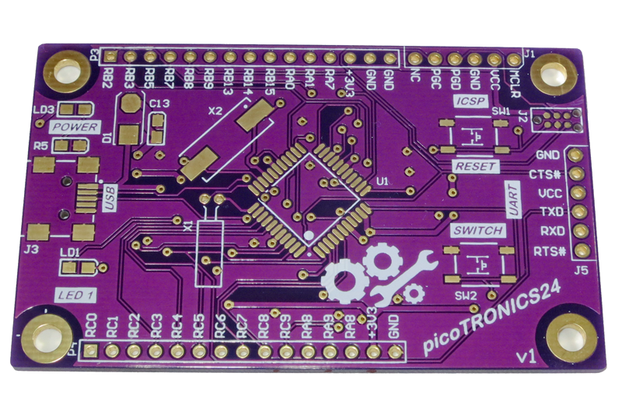 PIC24 Development Board with long range RF, USB, LCD & Wifi support. 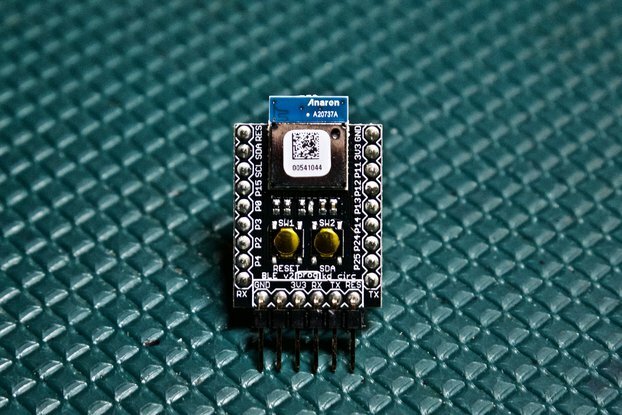 An excellent and powerful microcontroller development board. PCB Only. The nanoTRONICS24 is our most advanced PIC24 development board, it's compatible with Microchips range of 16-bit microcontrollers. 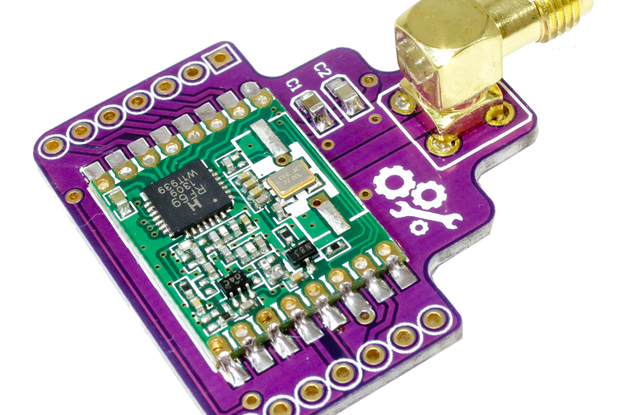 This development board offers a number of advanced features including, an LCD interface, mini-USB connector and RFM22B breakout board mounting headers. 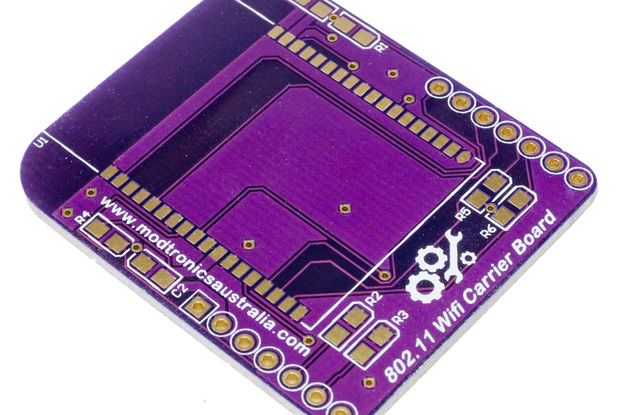 The PCB itself is very high quality featuring our stylish purple soldermask and a high quality ENIG finish (for easy soldering). 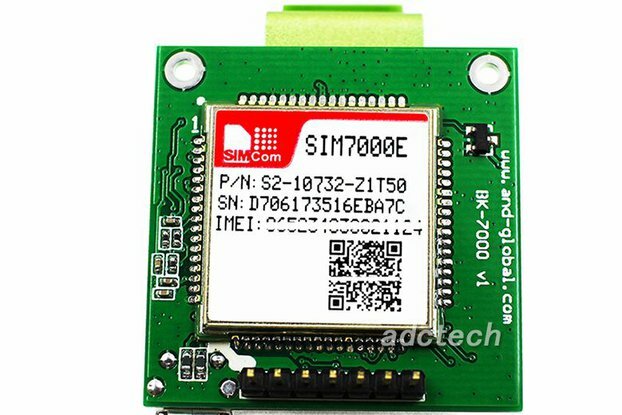 The nanoTRONICS24, PIC24 USB /LCD / RF Development Board, is designed for those who want a flexible and powerful development board for Microchip's PIC24 16-bit microcontroller devices. Whilst being powerful and flexible, the nanoTRONICS24 is very simple to use, with minimal external components required to get it up and running. 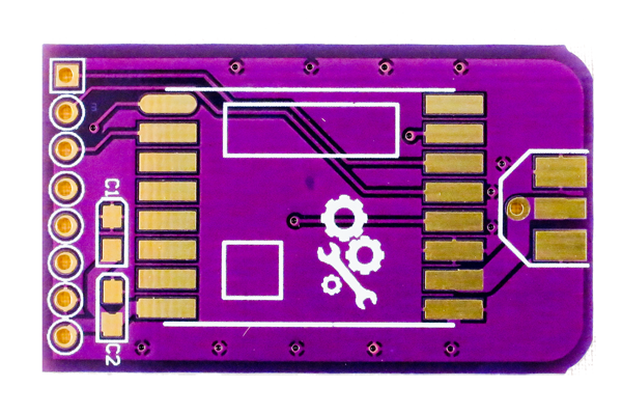 The nanoTRONICS24 features headers for our RFM22B Breakout Board, RFM12B Breakout Board, RFM69HW Breakout Board & Microchip MRF24WG0MA Wifi Module Breakout Board, providing an easy wireless solution for hobbyists, and 16x2 LCD modules, allowing for a simple display solution. 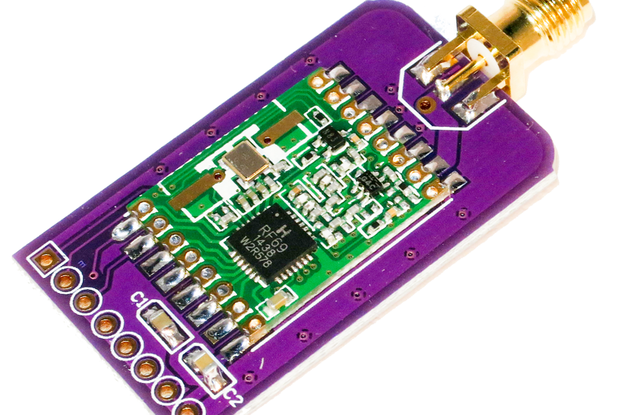 The nanoTRONICS24 is designed for Microchips powerful range of 16-bit microcontrollers in 44-pin TQFP packages. 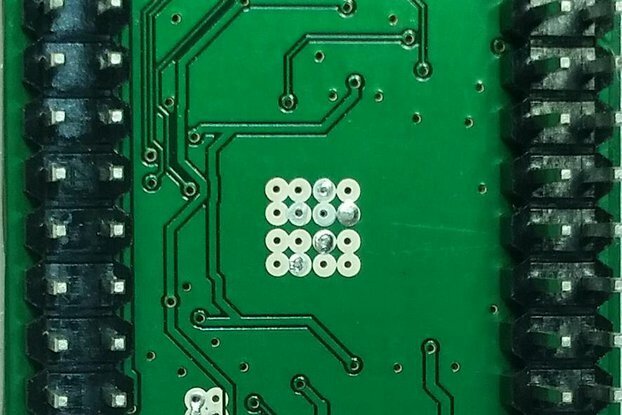 We really like the PIC24FJ64GB004-I/PT, but Microchip also offers many other PIC24 devices in 44-pin TQFP packages that are compatible with this board. 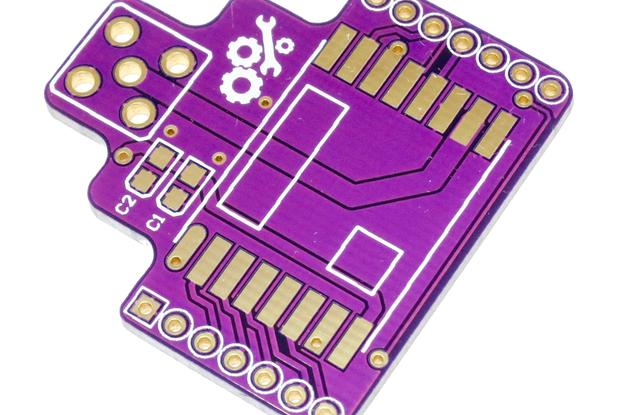 The PIC24FJ64GB004 offers numerous features including: USB (without the need for external components), inbuilt oscillator (stable enough for use with USB), ADCs, hardware RTCC and peripherals that support peripheral pin select (allowing them to be assigned to almost any IO pin) including: 2 x UART, 2 x SPI, 2 x I2C, Charge Time Measurement Unit (CTMU) for capacitive touch interface and many more. 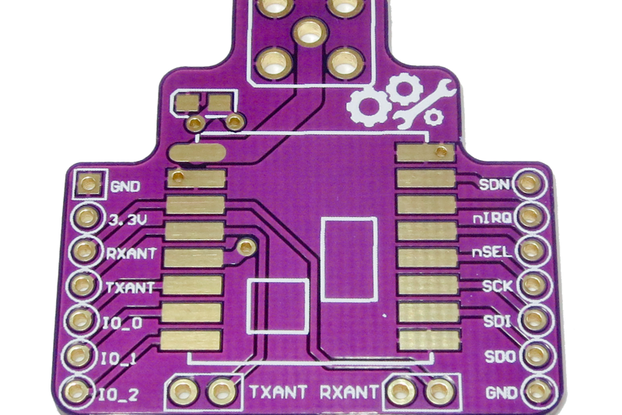 Want to do a DIY build of our nanoTRONICS24 PCB and don't have the parts? We've shared our nanoTRONICS24 Mouser Shopping Cart - it contains everything you need except the SIL Male Headers, 16x2 LCD Module and RF modules, the latter two can be purchased from our site.